It’s a Bird! It’s a Plane! It’s the 6th Annual SuperHero Run! Every Child Needs a Hero, but Abused Kids Need Super Heros so put on your cape and run, walk, fly, hop, skip, crawl or cartwheel across the finish line with us! Super Fun for the Whole Family! 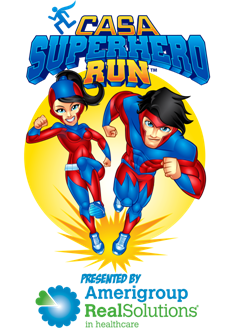 Come out to our 6th Annual Cherokee Superhero 5K Run and Fun Run at Etowah River Park in Canton GA. Presented by Amerigroup Health Solutions. The course will start and finish at Etowah River Park and will be run on the paved trails of Etowah River Park and Heritage Park. The school with the most participation will receive $1000 and the school with second most participation will receive $500! Early packet pickup will be at The Children’s Haven, 1083 Marietta Hwy from 2- 7pm on the 11th. Awards: Overall Male and Female. 3 deep in Male and Female age groups. Shirts and Goodies: All who register by 4/23/18 will be guaranteed a shirt. Those registering after that date and on race day are not guaranteed a shirt or size. Youth sizes will not be available to race day registrants. There will be plenty of refreshments. "Justice is Served" after party with Best Traditional, Most Original & Best Family/Team Costumes contests, food, entertainment, facepainters, bounce house and much more!